Give us a brief description of some of your previous work experiences. To get ahead in the application process, please send us your resume to careers@brockwaymechanical.com with your name in the subject line. With full-time and Summer positions available, we’re looking for hard-working, competent craftsmen to join the 100+ professionals in our management & field teams who are eager to expand their skills in the HVAC/sheet metal, plumbing and roofing trades. Don’t have years of experience in your craft? No problem - we train all employees in the field to ensure they’re equipped with tools and knowledge to perform adequately and professionally on the jobsite. *Brockway Mechanical & Roofing is an Equal Opportunity Employer. If you think cutting sheet setal is for everyone, think again. These craftsmen assemble, fabricate, repair and install items made out of the thin, metal sheets used in duct work and ventilation systems. Different jobs involve different tasks. These workers examine technical plans, blueprints, drawings and models to figure out the best approach to crafting the project materials. Precise mathematics and engineering help determine the amount of sheet metal needed, then, with the help of state-of-the-art computerized metal cutting and processing equipment, workers cut, bend and straighten the sheet metal. It’s not uncommon for workers to use various hand tools to finish off pieces before final installation. Our sheet metal workers have working knowledge in mechanical, building and construction, design, mathematics, engineering and technology. Roofers are some of the most adaptive workers on a job site. Working primarily outdoors, these individuals apply different roof structures with shingles, slate, asphalt, aluminum, or wood materials to bind, seal, insulate, or soundproof a building. With a wide range of knowledge of materials, methods, and tools involved in construction, roofers understand the process needed to identify complex roofing problems and implement strategies to improve or correct the best roofing procedures. Our roofers have the ability to perform general physical activities and are service oriented with a drive for project quality until completion. For anyone that's experienced a broken pipe, you know that plumbers are unsung heros. These workers assemble, install, and repair water, heating and drainage system pipes and fixtures to help a home or building work with systems flowing smoothly. Picking up a pipe wrench, however, isn't the first step to becoming a master of this craft. Stamina, patience, and the ability to adapt to carious environments are key traits for individuals looking to master this trade. Plumbers understand plumbing codes and specifications with the ability to assemble pipe sections, tubing, or fittings, using couplings, clamps, screws, bolts cement, plastic solvent, caulking or soldering, brazing, or welding equipment. While reviewing blueprints, building codes, or specifications to determine work details and procedures are key, our plumbers are also responsible for the measuring and cutting of pipes to meet specifications for proper installation. How can you make the most of a budding career in the construction industry? It certainly helps to complement your education with a guided apprenticeship at an industry-leading company! 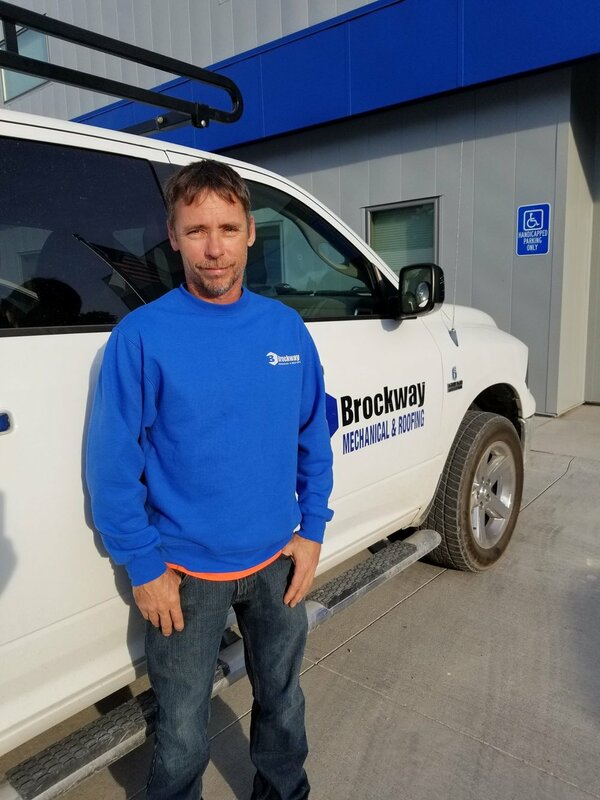 Brockway Mechanical & Roofing offers an apprenticeship program for students. The concept is simple: we’ll provide tuition reimbursement for your education, in exchange for service once you’ve graduated. When you work with us, you gain the expertise of our skilled tradesmen thanks to supervised training, and the guidance to help you get where you want to be in your career. Contact us to learn more and apply for an apprenticeship. BROCKWAY Mechanical & Roofing TEAM?